This mainly got stars for the cover. Look at that cover. Isn’t it gorgeous? With the promise of something totally awesome and amazing? WRONG. Wrong. This book was complete and utter crap. There is this world called Paradise. Where man lives alongside dinosaurs and lives…not so peacefully amongst each other. There’s alot of war. Alot of political mumbo jumbo. And…..that’s about all I got from it. Seriously. 500 pages. Take a bowl of beef stew. It looks and smells delicious. Then you are asked to identify all the parts that make this soup. But…plot twist! They give you a tooth pick to eat your stew. And it’s a mushy gross stew. Complaint A) LACK OF PLOT: This book started nowhere and ended nowhere and went nowhere. Complaint B) The women were awful. I can’t even. It seems like it was written by a man who has no idea how to write women. Complaint C) Epic Fantasy FAIL. What makes an epic fantasy? Well…A quest. Alot of characters. And an actual plot, for starters. And none of the characters progressed. At all. And it was hard to follow. And none of the points really added up. It was a hodge podge of a sausage fest. Yes. I went there. My duck bill is bigger than your duck bill. Let’s arm us some dinosaurs and FIGHT TO THE DEATH for no reason. I can go into more depth but this book, in short, wasn’t worth the time it took to read. It didn’t make sense. Nothing was explained. It was a giant sausage fest of Dino riding warriors making war on each other for no other reason than they smelled funny. Maybe. I couldn’t actually discern a reason for all the war mongering. And the guy who died twice and this or that and NOTHING WAS EXPLAINED. Just oggle the cover. This book wasn’t worth reading. I also believe that the world needs more honest reviews. I do this because I find that I frequently feel better about myself when I discover we’re not alone, but there are in fact a number of people who ail as we do. 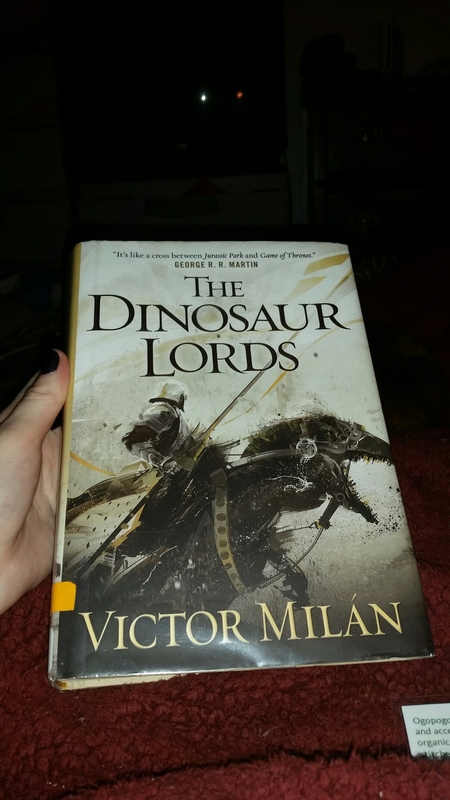 I picked this up because I’ve had it in my wishlist forever and I found it at the library the other day and I’m glad I read it. 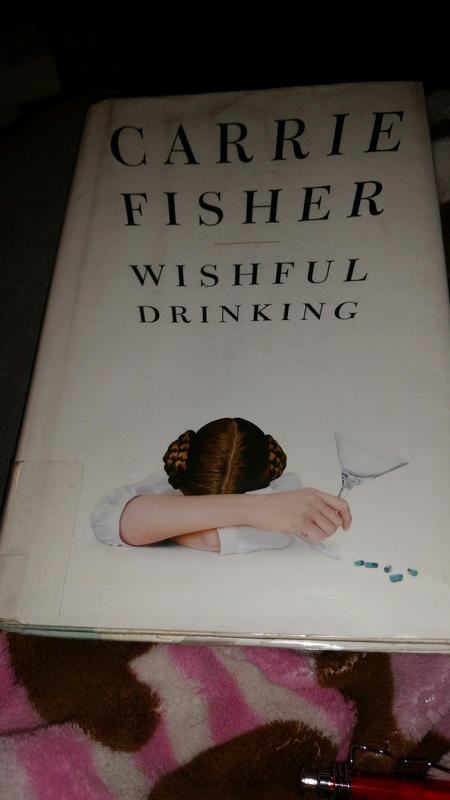 Carrie Fisher is the result of Hollywood inbreeding and found her fame with the little franchise Star Wars, staring alongside little known actors Mark Hamilton and Harrison Ford. This is her memior about her addictions to opiates, alcohol and her journey of recovery and what it was like seeing your likeness on a PEZ dispenser. She goes into great detail about her manic depressive episodes and what it means for her to be bipolar. Happy is one of the many things I’m likely to be over the course of the day and certainly over the course of a lifetime. But I think if you have the expectation that your going to be happy throughout your life- more to the point, if you need to be comfortable all the time- well, among other things, you have the makings of a classic drug addict or alcoholic. I found this book funny (but a bit raunchy) and it was nice not to feel so alone. I myself experience dark depressive episodes and she made it fun. It read kinda like an AA speaker meeting and was just like someone telling their story. Yes, she went crazy. But she got better. Sometimes the things people don’t say are louder than the words that come out of their mouth. This was was unique. Emmy and Oliver are best friends since birth. Neighbors, born on the same day, until one day in the second grade, Oliver is kidnapped by his father and disappears. 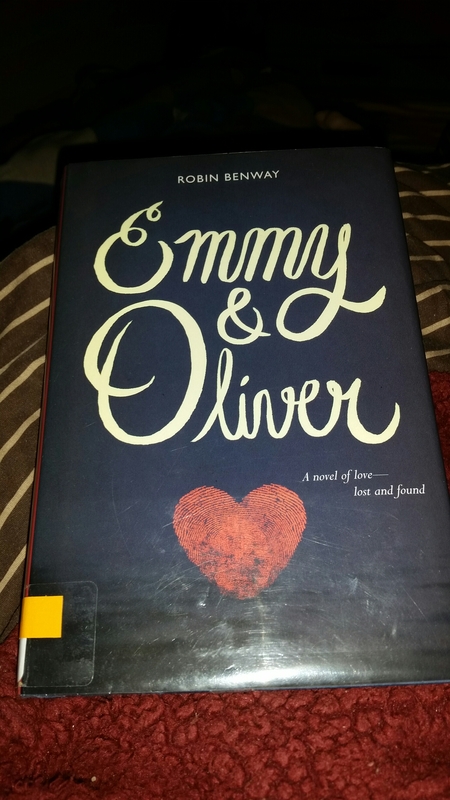 10 years goes by and after extensive media coverage, trying to find them, life settles into “normalcy”….when Oliver is finally located and shipped back to live with his mom. It’s a large adjustment as he faces life after being a milk carton child and Emmy and her friends have to adjust to Oliver being back. And Emmy’s parents have to learn to be a little less protective. I LIKED this book but I didn’t love it. I felt that there could have been more to the story than what was presented. It was a cute love story but it seemed a tad rushed. It was through Emmy’s point of view and I thought it could have benefited from split POV with Oliver. The writing flowed but I wanted more. More info. More on the characters. Just…more. So this one fell fell a little short for me. It could have been way better. 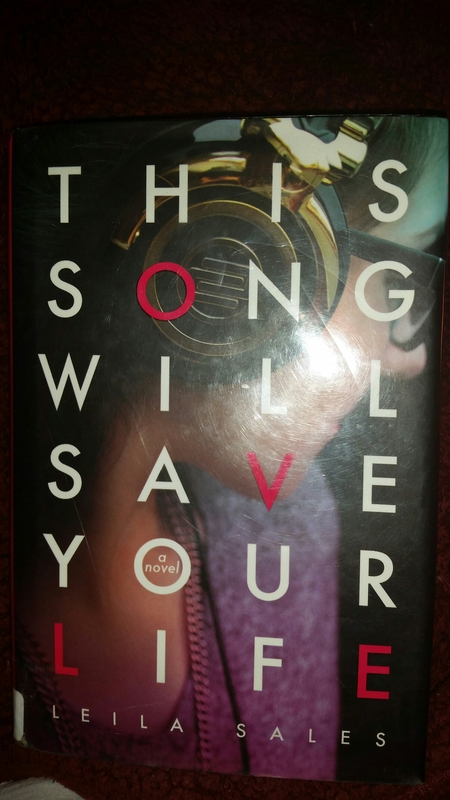 I recommend it to anyone who likes the YA genre and wants a good palette clenser. The world continues to spin even when we want it to stop…Especially then. Today marks the one month anniversary of my blog and the start of my 40/40 challenge. 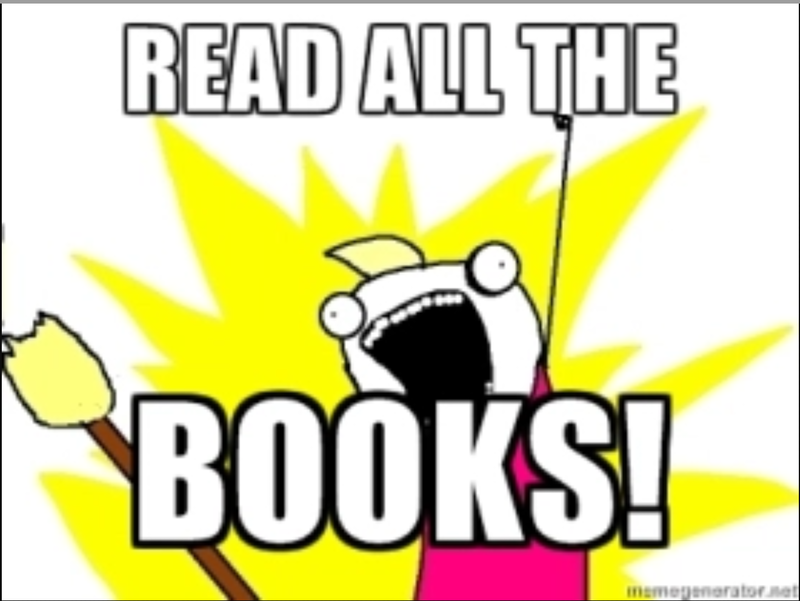 In the initial post, I said I would try to read 40 books in 40 days. That clearly isn’t going to happen as I’ve only managed 18. 17 of them were library books and one was a recently purchased. Considering I made the whole thing over me not touching my library check outs, I’d say I’ve done pretty darn well. XD And I’m clearly still enjoying myself so, in my minds eye, I am winning. So the 18 books. Most were okay. Some I thought were great and a few others felt like trudging through mud. My favorite book this month would have to be The Theory of Opposites. The longest was 1Q84. My least favorite was The Weight of Feathers. This was a book that kinda sat in the middle for me. I wanted to like it, it had a good plot but I couldn’t help but find it a bit lacking. Elsie-named after a Cure Song- is a nobody. No friends. No future. No plan. Etc. She starts off her freshman year trying to fit in. Unsuccessfully which results in a botched suicide attempt. She didn’t actually want to die but she kinda sorta did. She walks at night and comes across a nightclub that plays punk dance music and becomes enamored with the act of DJ’ing. And the DJ himself. She finds herself in music. This had SO MUCH potential but fell short for me. It seemed too simply written with little to no heart. Elsie had so much room for character development but I found her a tad stuck up and whiny. 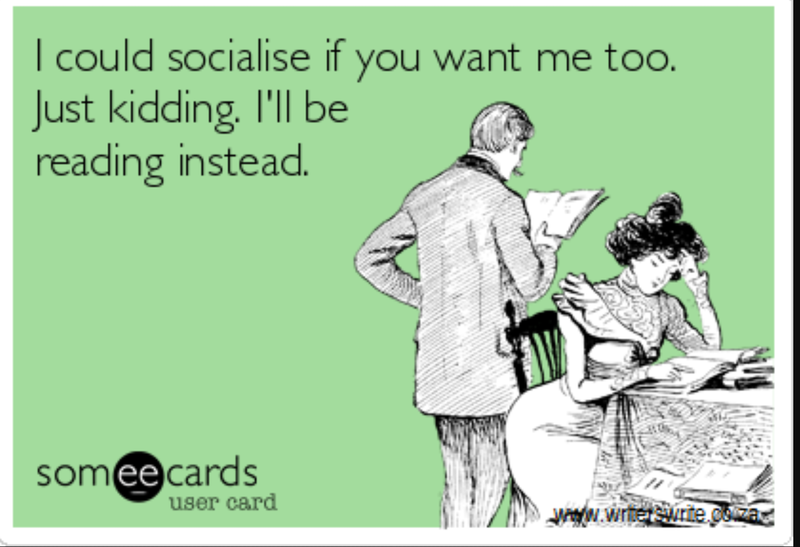 Yes, she pretty much sums up what an introvert is but spent alot of time wanting normalcy. I wanted to bang my head into a wall over it. I like the fact that music can be seen as a way of coping. I just felt the author could have done better. So it was okay. Potential but falls short. I understand music to help the soul but the author did a poor job of making that connection. What could have been beautiful simply didn’t add up. Its unlikely to be alive, isn’t it? The right temperature and gravity, the right atoms combining at the precise right moment, you’d think it would never happen…Life, it’s so unlikely…It’s so much better than we think, isn’t it? Oh, I liked this one. I have a good judge of whimsical picking I think. It is almost impossible to capture true sadness; it is a deep sea creature that can never be brought into view. I say that I remember being sad, but in truth I only remember mornings when that person- the person which I contained- could not go to work, could not do the things she knew could save her, and instead did only what was bound to destroy her: alcohol, forbidden cigarettes, and endless lost, black hours of lonliness. Greta Wells is 31 years old and has just lost her twin brother. In the torment of depression, she undergoes electoshock therapy to get better. Instead she finds herself transplanted from her world of 1985 and in the war torn 1918. As a Greta from a different life. Another treatment later, she finds herself in 1945. The people around her are the same, but their lives lead different paths. Each treatment leads to another time shift between these years. Greta takes it upon herself to help the “other” Gretas’ while facing the choice of what time she thinks she’s best suited for. In 1919 where her husband has returned from the world a changed man? In 1945 where she is both wife and mother at the start of WWII? Or in her own time in 1985, where he brother has died and her lover left her? The choice is both hard and suprising. (Just to clarify, in each world there was a Greta, Aunt Ruth, Felix [brother], Nathan [husband/lover], Alan [Felix’s boyfriend], and so on). This book was beautifully written and captured depression in a way that makes sense. To lose someone you love and the choices you make that define your life. The Launguage was beautifully poised and flowed flawlessly. If you could, would you sacrifice everything to be with your loved ones again? It also took a good look at how homosexulaity was treated during different time frames. If only we just loved who we’re supposed to love. But we do wake, each of us, to find things have gone differently. The love we thought had killed us has not killed us after all, and the dream we had for ourselves has shifted elsewhere, like a planet our starship is set for; we have but to lift our heads and right ourselves, move toward it once again and start the day. We will not get there in our lifetime…What’s the point? A journey to the stars that none will see but our children’s children? To see the shape of life, is all we answer. 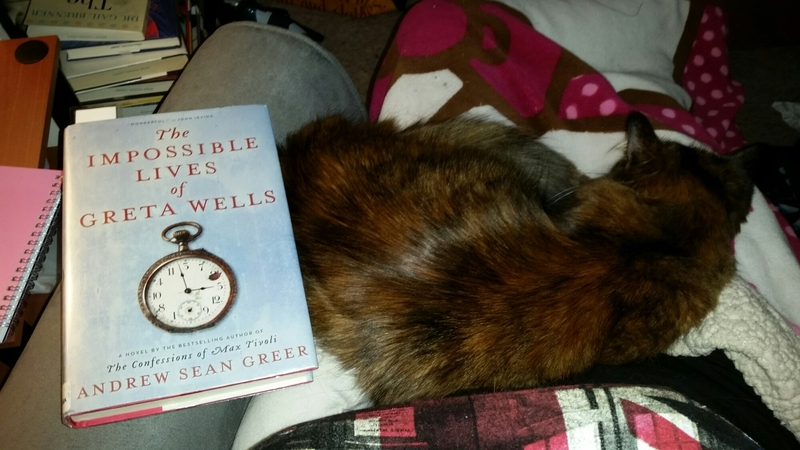 Yes, dear reader, that’s the other reason we cats purr. Arguably, it’s the most important reason: to make you happy. Purring is our V- our way of reminding you that you are loved and special, and that you should never forget how we feel about you, even when your vulnerable. This was a delightful read. 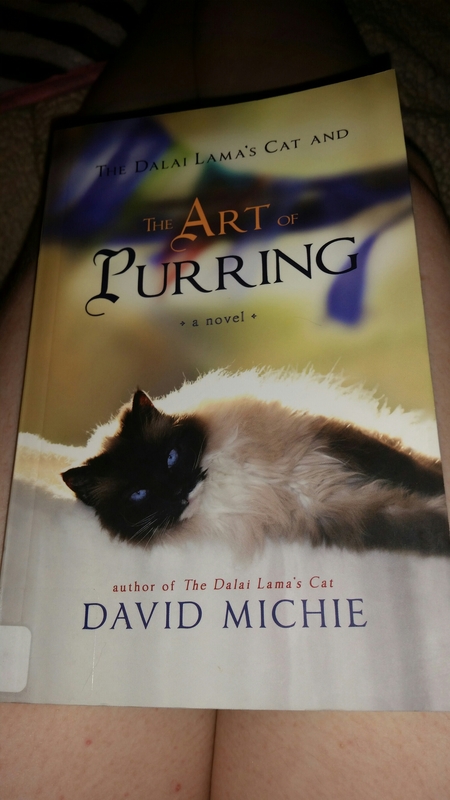 From the perspective of the Dali Lama’s cat, we get a simple yet delightful story on what it means to be happy, finding happiness and what it takes. It follows after a cast of characters (for which you get the feel from Snow Lion) as they face their own journeys of achieving happiness. There was also alot about the proper way to make curry. Filled with simple Buddhist teachings, this is kind of what I needed to read right now as I’m going through a rough patch emotionally. It said what I needed my heart to hear. Plus, it was sassy and quirky as only a cat could present it. XD It also went into alot of self meditation which I already do.